Easter Sunday is the high point - the bright, hope-filled, and joyous culmination of the events Holy Week. 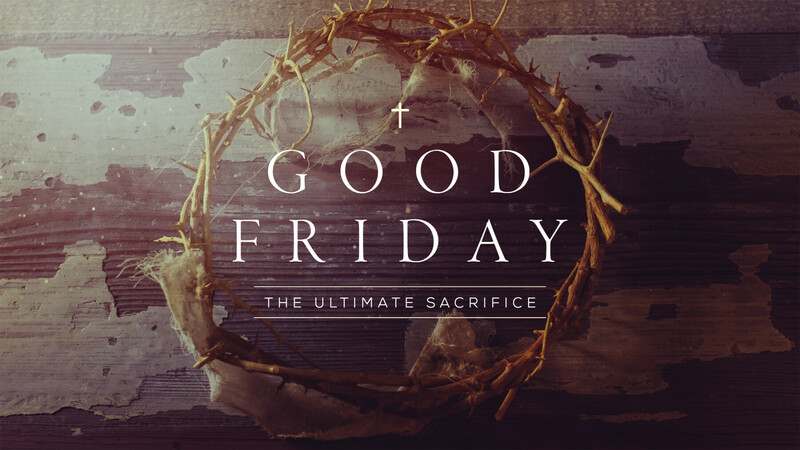 To get there, though, we must first go through the somber and difficult beginning that is Good Friday. During Holy Week, we want to walk with Jesus and his disciples, through humiliation and suffering, through despair and anxiety. In the end, we will not find ourselves left in darkness without any hope, but will come out the other side with joy in the presence of the resurrected and living Jesus! Join us on Friday, April 19th for a contemplative gathering that will take us through Christ's journey to the cross on that fateful day when he died for us all.